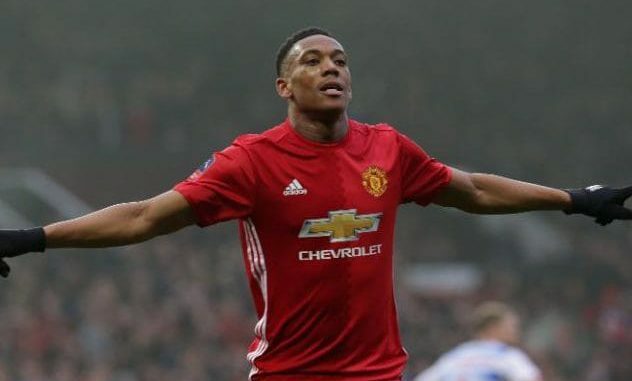 Manchester United supporters could not hide their pleasure over the performance of Anthony Martial during Saturday’s 2-2 draw against Chelsea in the Premier League. The Frenchman was handed his third-straight league start after scoring a vital goal against Newcastle United last time around and he continued in the same vein of form against Chelsea at Stamford Bridge. United’s performance was far from impressive during the first period where they looked disjointed after going 1-0 down but Martial sparked the comeback with two goals – the latter coming off a sublime finish. Though, the Red Devils could not hold onto the slender advantage for the remaining part of the game, the fans were nevertheless pleased with Martial replicating the form witnessed during the start of 2018. Brilliant work from Pogba in the lead up to that goal. Great effort from Mata with his shot and ball back in. Fantastic finish from Martial. Come on reds. Great touch from Martial before the goal. Not easy to control a ball smashed across the box that comes at you knee high. Mourinho starts Martial vs Young Boys, he scores. Mourinho starts Martial vs Newcastle, he scores. Mourinho starts Martial vs Chelsea, he scores. Am I surprised? Not at all. F*cking baller. Martial’s inconsistency has generally cost him a regular role in the starting lineup but he has managed to make the most of his opportunities of late with Alexis Sanchez struggling to adapt to the club’s style of play. Still, the Frenchman does not have any room to drop his performances levels in the forthcoming matches and hopefully, he can replicate the showing on a regular basis to secure a new bumper deal with the club. Martial’s current contract is due to conclude at the end of the current campaign, though United have the option to prolong the deal by a further 12 months via an extension clause written into his deal.